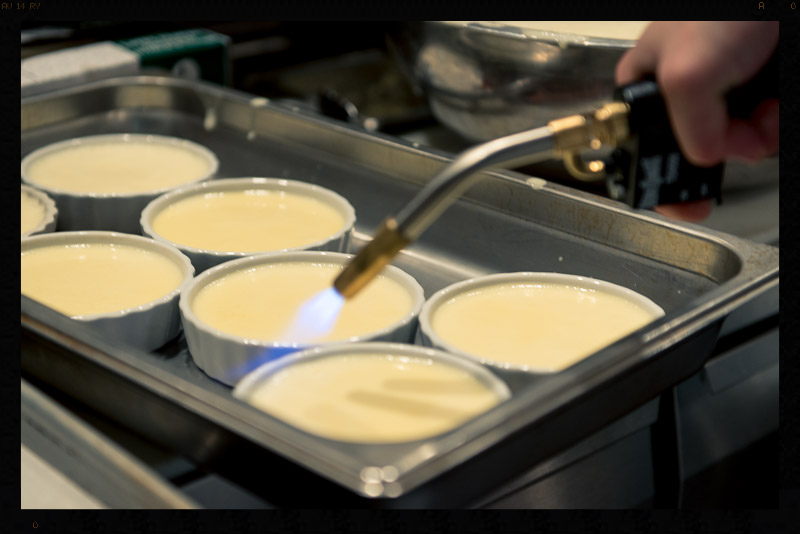 That’s what we say every time we prepare our luscious, rich crème brûlée. Made with the freshest of eggs and cream with the just the right hint of vanilla, we torch the top to give it its signature crackly, sugary top. Think of it as the perfect ending to a perfect meal. And yes, blow torches really are fun. Tony’s wishes you a very blessed Easter. May your day be joyous and your Easter egg hunt productive. Tony’s will be open in Lexington on Easter Sunday. Cincinnati, however, will be closed on Easter so the staff can bite the ears off of chocolate rabbits. Unwind from a day at the races at Tony’s. Regardless of how you bet, we promise you will be treated like a winner here. 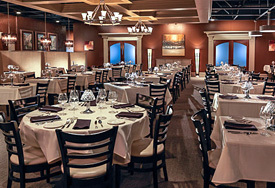 Gather at Tony’s for an intimate dinner or a large group of friends to enjoy the races. Traditional yearly anniversary gifts are rather mundane, to say the least. The first year is paper, the second in cotton. In fact, one has to be married 10 years to receive a gift fashioned out of tin–whoo hoo! Tony’s has an infinitely better (and faster) tradition for newly married couples to celebrate their marriage. Have your rehearsal dinner at one of our restaurants and receive a $150.00 gift certificate so you–the new Mr. and Mrs.–can celebrate in style after the honeymoon. No waiting involved. Now that’s a tradition you can sink your teeth into. Please view our “Tying the Knot” packages on our websites. S-T-E-A-K. That’s how. Administrative Assistant’s Day is April 22. Buy some gift cards for the people who make you look good. Purchase gift cards here for our Lexington or Cincinnati locations. 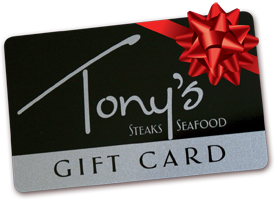 No need to play favorites; the gift cards can be used at either restaurant. Soon, graduates will not see the same smiling faces every day. Mark this milestone with a meal, Tony’s style. 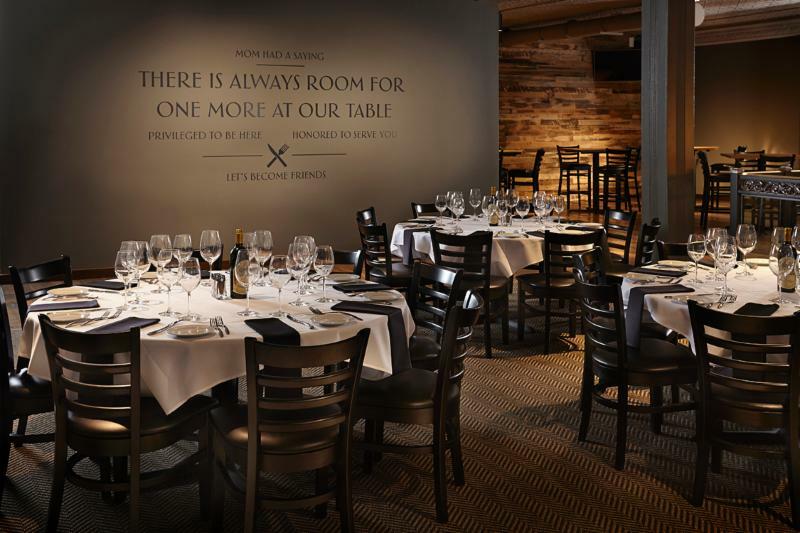 Choose a reservation in our dining room or a larger gathering in our private dining rooms for graduation celebrations. If you are in the Cincinnati area, you may also consider letting us cater your graduation event. Put the party in our capable hands so you can enjoy the event. Our team would be happy to assist you. Highly recommend!! Excellent food and service. My new favorite in Lexington. 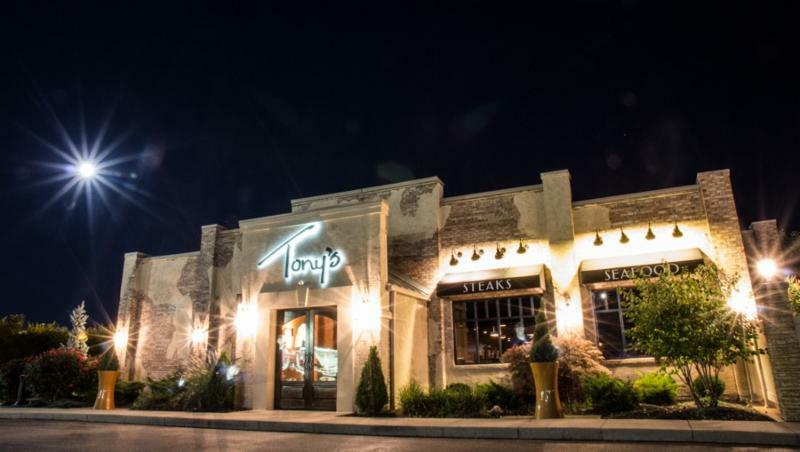 Dining at Tony’s is always a wonderful experience. The quality, the preparation and the presentation of the food is exceptional. The entire staff makes you feel genuinely welcome and appreciated.